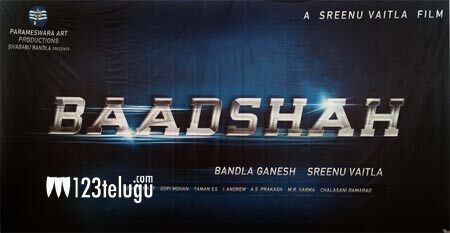 The principal shooting of Young Tiger NTR and Kajal starrer ‘Baadshah’ began recently in Milan, Italy. A song is being canned on NTR and Kajal and this schedule will go on till the end of the month. The latest news is that the film is being planned for release on January 11 2013, in time for Sankranthi. After the completion of the Italian schedule, the film unit will head to Bangkok in the first week of August.”After Italy, we’ll head to Bangkok and the film’s shooting will be completed in December. The film will have a grand release for Sankranthi, 2013,” Ganesh Babu said. Sreenu Vaitla is directing the film and Ganesh Babu is producing it on Parameshwara Art Productions banner. S S Thaman is composing the music and Andrew is the cinematographer. Kona Venkat and Gopimohan have written the film’s script.